Recently my daughter and I have become smitten with cornbread. I never had it growing up and really only began eating it a couple years ago. A friend of mine is known for her cornbread and corn bread pudding. my daughter & I fell in love with both, so we began making it this year. When I came across Oprah Winfrey’s Skinny Cornbread recipe, you know we had to give it a whirl! In addition to our love of cornbread…My kids and I love being outdoors (while my husband wants as much AC as he can get in the summer). We have a pool, so kids are always here and you know what that means. I never stop washing pool towels AND they eat…everything! I do my best to balance some junk food (after all they are teens now) and healthy options. I try to have fruits on-hand, popcorn, home-made cookies, edamame for quick steaming. 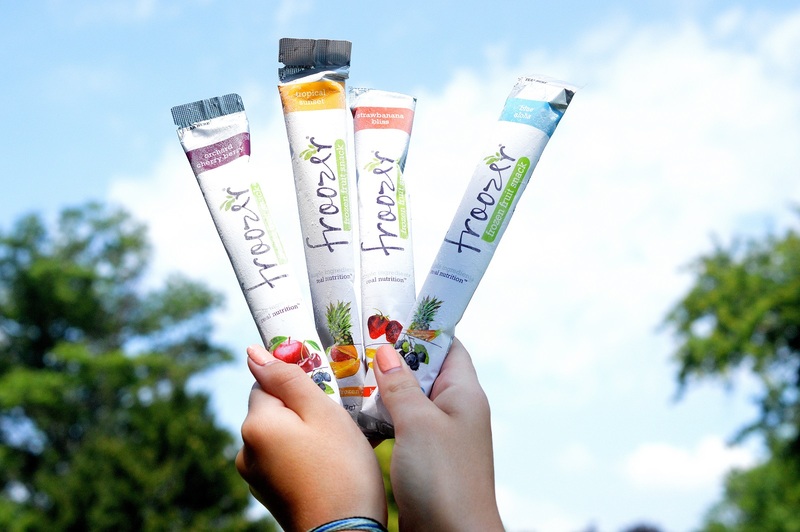 This summer my kids and their friends have been digging Froozer Frozen Fruit Snacks and happily, I feel good about giving them one or two a day, especially since they are just fruit and only 35-40 calories each. They think they are ice pops, which is fine by me. These frozen snacks are made with 100% fruit. They contain no added sugars or juices and are GMO-free, dairy-free and preservative-free too. Froozers are mom-approved! I sneak one when they do as well…Shhhh! Here’s where to find them, AND…Here’s a coupon! Have you gotten a look at Oprah’s newest cookbook yet? What’s not to love about Oprah?? She’s funny, relatable, driven, giving and so much more. I admire her. Her latest cookbook Food Health and Happiness – 115 on-point recipes for great meals and a better life, is gorgeous! It’s a work of art really. In the cookbook, Oprah has woven in intimate photos, stories and in my opinion some fantastic recipes. The soup section of the book is impressive. Oprah offers fresh, vibrant salad recipes as well as entree options. Most recipes are simple, yet elegant and well thought out in terms of balance. This is a really nice cookbook and a great read as well. I see quite a number of recipes with bright flavors I want to make, which I have to say hasn’t happened in a while for me when flipping through a cookbook. Check it out, you can see a preview of the book as well. When I saw Oprah’s Skinny Cornbread recipe, I knew I had to make it! It has great consistency, just the right amount of sweetness and corn taste plus a little kick from the jalapenos…Yum!, Next I want to try her Summer Corn Chowder and Art Smiths Legendary Fried Chicken (Lord do I want that)!! This post is sponsored by BabbleBoxx.com on behalf of Single Edition Media, who sent me the fabulous items you see in this post to try out. I always have Pam on hand. I mean I cook and bake more than the average gal, right?? So you know I go through them. I was just introduced to the new Pam Cooking Spray which is in a non-aerosol pump I love it! It works just as good as their iconic spray can, and it’s even easier to portion control. At just 10 calories and 0 carbs for 5 pumps, it’s a smart healthy way to achieve superior non-stick surfaces! I also love it to oil the gril before pre-heating. It currently avaialble in canola or olive oil and contains no artificial colors, flavors or preservatives (win!!). Where I live, It’s 30 minutes to get to a mall or any big-box store. lucky for me True Value is in the next town 8 minutes away right next to me 3-day-a-week Amish farmers market. I can pop in and grab what I need for the lawn or house. I also enjoy their outdoor section. If you follow my blog, you know I am a girl that grills…a lot! This True Value 3 Piece Stainless Steel Grilling Set came in handy this summer! It includes a basting brush (I can never have enough of these), tongs and a 4-in-1-spatula. A great value at True Value! 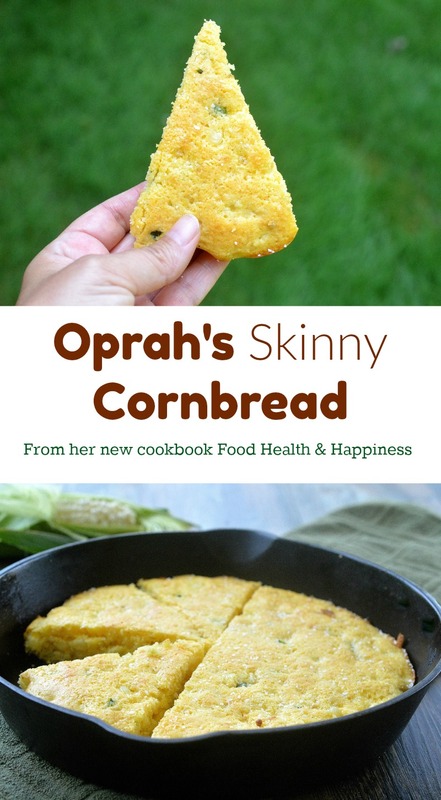 I hope you decide to try Oprah’s Skinny Cornbread recipe and enjoy it as much as we did! Coat a nonstick skillet with cooking spray and heat over4 med-high heat. Saute onions, corn, and jalapenos until corn is slightly charred. Approximately 5 minutes.Set aside and cool to room temperature. Sift flour, sugar, baking powder, baking soda and salt into a medium bowl, add in cornmeal and whisk to blend. In a small bowl, whisk buttermilk, egg, and oil.Add the wet ingredients to the dry ingredients and stir with a wooden spoon. Fold in the corn mixture. Coat a 10 inch cast iron skillet with cooking spray and pour in the mixture. Level and smooth the top with a spatula. Bake for 15 minutes, until the top is lightly golden and the center is just firm to the touch. Transfer the pan to a wire oven rack to cool for a few minutes before cutting the corn bread into wedges. 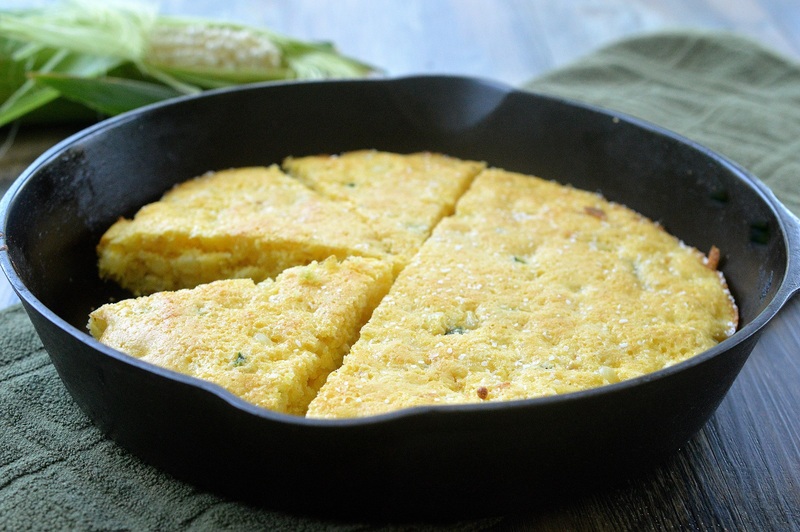 I LOVE cornbread and this recipe sounds good to me! Jalapeños?! I’m in! Have to check out her cookbook! Thanks for sharing! How many WW Smart points are these per serving? Would love to try this recipe! 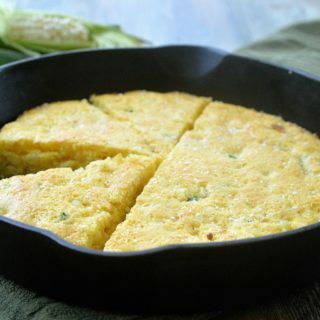 I would love know the smartpoints for Oprah’s delicious cornbread recipe!! I love cornbread! I am do glad and happy I came across your webpage. I am on my 5th week of ww freestyle.